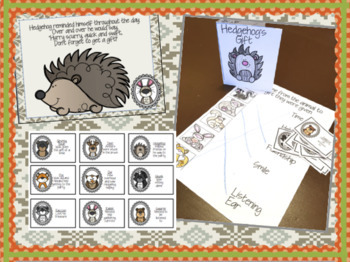 This cute lesson tells the story of some woodland animals who learn that the gifts that don't cost anything are the best! 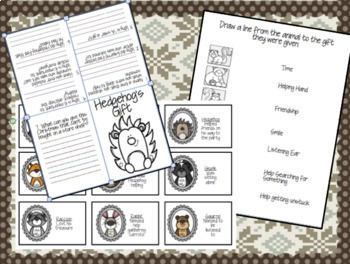 The Hedgehog's Gift powerpoint reads just like a book with a repeated phrase the students will love reading along with you, making this lesson even more interactive. 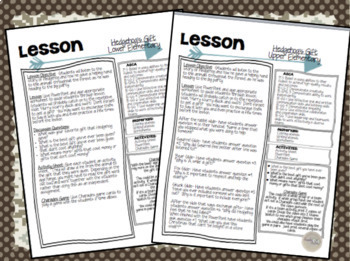 Just hit print and this lesson is ready to go! Did you know that you can http://tiny.cc/receiveTPTcredit receive credit towards future TpT purchases by reviewing this product? 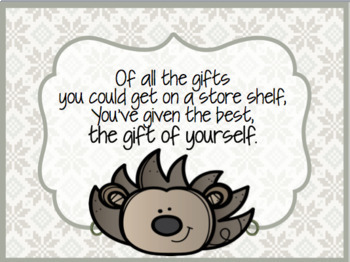 IF you enjoy this product, please leave a review at the product page or through “My Purchases” under “My Account” at TpT.